Live Blood Analysis Darkfield Microscopy Course: What is Argyria? Argyria is a discoloration of the skin, generally characterized by a bluing of the skin’s pigment. This rare, biologically benign condition proves the old adage that quality is much more important than quantity. Argyria occurs in response to the overconsumption of impure colloidal silver particles. Argyria is also an industrial concern that has been historically observed in workers consistently exposed to silver dust over a period of months and even years. Silver naturally forms compounds, especially when exposed to ultraviolet light http://www.dreddyclinic.com/forum/viewtopic.php?f=33&t=33211 (sunlight). If a silver mixture uses proteins or salts to suspend silver particles, the silver will pass into tissue, including skin tissue. In the skin, silver is unable to escape and reacts with ultraviolet light in a manner similar to the photographic development process causing the skin to turn blue, or bluish-gray. Simply put, argyria will make you look like a Smurf. Before the skin turns blue, the body does give a subtle warning. The body disposes of silver through the kidneys via urine, sweat, and through the hair and nails. Silver gets stored in the nail beds prior to release. If the skin under the nail begins to show a blue color, it may indicate overconsumption of silver. Regular consumption of low-quality silver also appears to reduce selenium levels. Selenium is essential for thyroid hormones, which directly affect mood, hormonal balance, and energy levels. Fortunately, argyria does not appear to affect any of the body’s function, only a person’s cosmetic appearance. Argyria is basically irreversible although some laser surgeries have reported limited success in reducing the symptoms. While steps can be taken to reduce the bluing effects of argyria, no known remedies exist to completely eliminate it. Some have reported success reducing the blue tint by taking selenium and vitamins A, E, and C. These vitamins and minerals reduce the size of the silver compounds in the skin so they no longer absorb light, but they do not appear to remove the seed particles lodged in the skin. The simplest way to reduce, if not eliminate, your risk of argyria is to avoid low quality colloidal silver and only consume a high quality supplement, particularly one that contains very small silver compounds in the range of 0.0008 – 0.005 microns; or silver particles more than a 1000 times smaller than a blood cell. What does all that mean? It means you should avoid the low-tech home brew kits as they produce unstable solutions with silver particles that are too large. 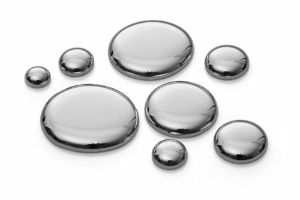 In my opinion, only colloidal silver produced using high voltage alternating current technology, like Silver Fuzion http://www.dreddyclinic.com/forum/viewtopic.php?f=11&t=30724, is acceptable. Pure electro-colloidal silver produced in clean environments without additives, proteins, and stabilizers is less likely to cause argyria. Products containing silver protein, silver chloride, silver citrate, and silver nitrate, or those that do not use automatic voltage regulating technology, however, will cause argyria. These preparations contain large silver particles that can become embedded in your skin. Watch out for preparations with silver as large as 0.1 microns. This is way too big. If you shake a bottle of colloidal silver and it foams up, this is a clear indication that the silver particles are too large. The foam generally indicates a protein additive aiding the suspension of the large silver particles. Similarly, if your silver water has sediment (particle fallout) — do not consume it. You really don’t want silver bigger than 0.005 microns. Let’s be clear, low-quality colloidal silver preparations could leave you blue — literally. This is why it’s so important to know the quality of the colloidal silver you use. Silver Fuzion® contains 10 ppm of pure silver and is produced using a high voltage colloid generator to keep the electrical current constant. This process produces small, uniform silver particles suspended in ultra pure, triple-distilled water. Global Healing Center remains committed to providing the finest colloidal silver that is guaranteed pure, safe, and crystal clear. 1. Lansdown AB. A pharmacological and toxicological profile of silver as an antimicrobial agent in medical devices http://www.ncbi.nlm.nih.gov/pubmed/21188244. Adv Pharmacol Sci. 2010;2010:910686. doi: 10.1155/2010/910686.